Goshen College admits students regardless of their financial circumstances or aid eligibility. When creating a college tuition financial aid award, the Financial Aid Office will work on providing the best package possible based on the information at hand. You can rest assured that all aid a student is eligible for is included in our offer letter. When creating a financial aid package for a student, the Financial Aid Office first looks at the student’s budget for the academic year. 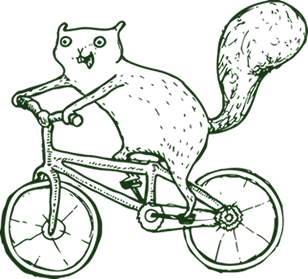 A budget consists of tuition, room and board, books and supplies, estimated transportation and estimated personal expenses. Once a budget has been determined, the process of creating a financial aid package begins. Four areas of financial aid are considered: academic/merit scholarships, federal, state and institutional need-based grants, student loans, and work-study. Each student’s award package is evaluated within each area to determine if the student is eligible for an award. The Financial Aid office attempts to meet this need figure with aid from various sources. However, based on eligibility and fund availability, financial need is NOT guaranteed to be met 100 percent. Need based aid (including Federal Pell Grant, Federal SEOG, Indiana state grants, and GC need based aid) cannot exceed the financial need figure. However, there are other types of aid which can be awarded regardless of your need. Goshen College offers the best package possible for each of our students. Based on the student’s eligibility and fund availability financial aid may not cover the difference between the family’s EFC and the cost of attendance. 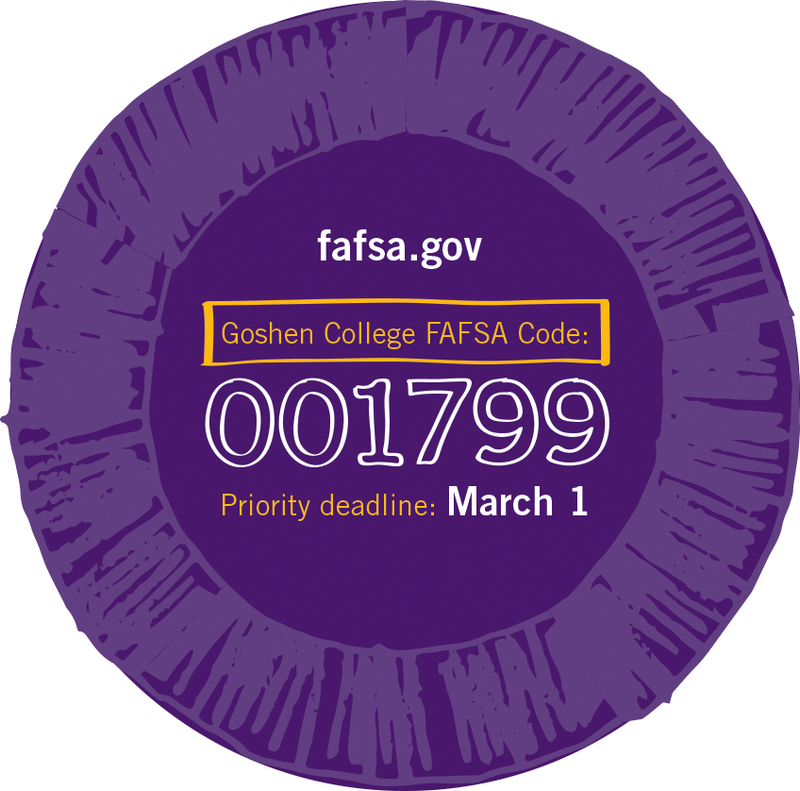 First, apply for admission to Goshen College. Students must be admitted to the college before a financial aid offer is made. Create an FSA ID and password online at fsaid.ed.gov to serve as your electronic signature. After you’ve been accepted for admission and we have received your FAFSA along with any other documentation that has been requested, we will send you a paper copy of your Financial Aid Award describing the aid you are eligible to receive. At that time, we will also send an email with instructions for viewing the financial aid award online. You will receive one paper copy of your award letter. Any revisions to your Financial Aid Award will be sent via email with instructions for viewing the award online. Please review the Financial Aid Award promptly and notify the Student Financial Aid Office in writing of any changes to your award, which includes lowering the amount of loans that you were offered or canceling the loans altogether. The college’s priority deadline for filing your FAFSA is March 1. *Canadian and international students can find more information under the international students’ tab. We know that paying for a college education requires some level of sacrifice and planning. With this in mind, we offer several options that we believe will be beneficial to cover this financial gap. Besides financial aid and loans, Goshen College offers an online tuition payment system. More information can be found by clicking on Online Tuition Payments. Feel free to contact the Financial Aid Office for assistance. In accordance with the Family Educational Rights and Privacy Act of 1974 (FERPA), the Financial Aid Office will not disclose any student’s financial aid information to parents unless the student provides written consent through our FERPA form. The Federal Parent Loan for Undergraduate Students (PLUS) is available to parents of undergraduate students in amounts up to the full cost of attendance less any financial aid. PLUS loans require that students enroll in a degree program at the half-time level or above. The effective interest rate for new loans is 7.0%. Borrowers commence repayment immediately upon disbursement and have up to 10 years to repay. Information about PLUS is mailed to financial aid recipients along with their financial aid awards. For more information, please contact us at finaid@goshen.edu. Read our financial aid refund policies.